Hubbub - Send Sarah to Study Sound! Send Sarah to Study Sound! Help fund a really exciting BA in Music Production! Hi! 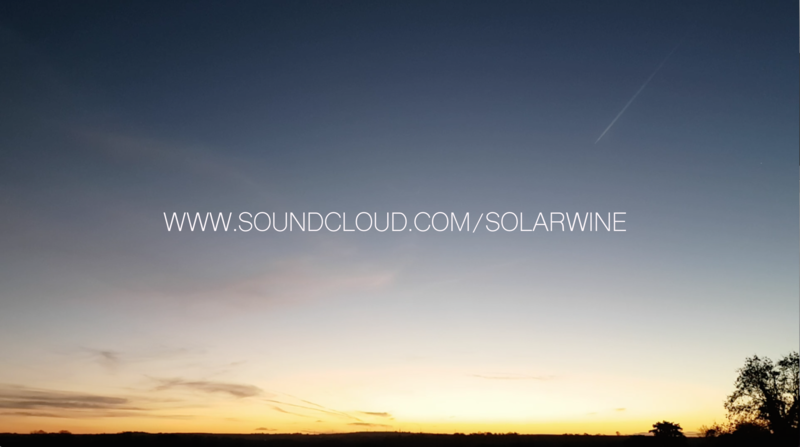 I’m Sarah, I make music under the name solarwine. My passion is making electronic music. I’m fascinated by the world of sound. I love how music feeds our imagination and opens new horizons. For me, making music is like a door into another place, where the world is mysterious and more alive. One of the reasons that I make music is because I want to share that place with others. I feel that giving my best to this music is a way I can contribute something to the world. That’s why I was so excited to get a place in September of this year, on the BA in Music Production in BIMM, Dublin. This crowdfunder project is to help fund that study. Over the years I’ve played in various bands, worked as a vocalist/instrumentalist on five albums and performed in some great venues with some very lovely people! I always felt though, that I had music of my own to make. Over the last number of years I have been working hard to bring that music to life. Last year, I did a diploma in musicianship and songwriting in The British and Irish Institute of Modern Music (BIMM), Dublin, to build on my skills. I learned things that opened up totally new possibilities to me, like creating my first arrangement for brass. It was so exciting! I got a glimpse of the massive musical possibilities open to me through these new skills. When I saw the impact that year had what I was doing, I realised I had a huge opportunity on my hands, to continue to BA level and fully bring this music to life. Knowledge of production is essential in electronic music. I have been teaching myself all I can, but when I saw the curriculum for the BA in Music Production, it seemed tailor made to answer all the questions I had, and more. I could see how much faster I would progress in a structured learning environment. It became clear that the best thing I could do for this music and my future was to do the course. So, I took the leap and applied. I was thrilled to get a place. BIMM is an extremely vibrant place, where everyone is very passionate about music. There are great new bands, and new music emerging from its ranks all the time (more here). It is really feeding the new music scene in Ireland and it’s a great thing to be a part of. The skills I am learning on this degree will provide me with the freedom to create and produce music independently. It covers things like: music software, recording skills, mastering and arranging, as well as other skills, many of which open up new avenues of opportunity. I have done 6 weeks so far and we are already getting such solid knowledge on all aspects of recording and producing. I really feel I'm doing exactly what I should be doing, and that is a wonderful thing! By supporting this project you are allowing me to focus on the learning and make the best of this window of time. This will help sustain the making and sharing of this music in the long term. The course is private, so has no student grants. The fees are €5950 per year for 3 years (average for this kind of course) and will mean a move to Dublin. I took out a loan to cover the first year's fees. I worked through last year while I was studying and I’m continuing to save as much as I can. I live pretty simply but between travelling to Dublin for the course and other expenses, I haven’t managed to get much put aside. That's before any living expenses! So, really I am putting no limit on how much people want to fund!! The more of the fees I can cover, the more I can put into the study and avail of all the valuable opportunities of the course - like time in the professionally equipped computer suites and recording facilities, performance opportunities, tutorials which are available to us in any subject. Please have a look through the rewards and see if there’s something you might like! I will post updates on this site, but you can see some of the things that inspire me here on my music Facebook. I may even put an update or two there also! Songs and music are such and amazing art-form - they can go straight to the heart. I often think that music brings out the best in human beings. It is a uniting thing, that bridges the widest of cultural divides, and that is such a valuable thing. This is the start of a time of new explorations and discoveries. That’s what I’m inviting you to be a part of… I’m looking forward to seeing what we can create! Even the smallest pledges are greatly appreciated and make such a difference. If you are not in a position to support a campaign right now (I totally understand), but would still like to be involved you still can play a huge part by passing on the word to friends, contacts or random strangers! I am so grateful for every act of support and encouragement. Thank you in advance for your support. Let’s have some sonic adventures!